Episode 9 of Ikoku Meiro no Croisée (Crossings in a foreign labyrinth) is sadder than any of the previous episodes, as Camille Blanche and Claude Claudel think back to the time they spent together and the impossibility of their being together. 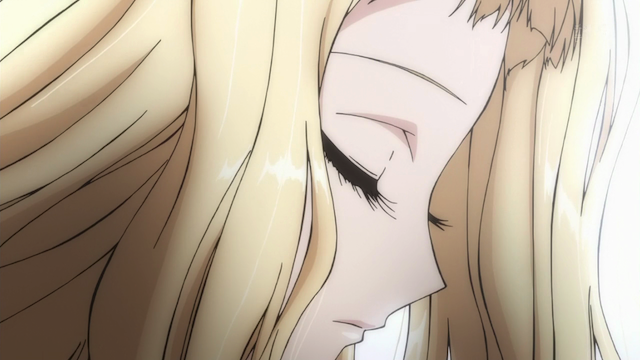 Although the story is much as we suspected, this episode gave us the details of Camille and Claude’s ill-fated love. Camille’s mother would disapprove of their relationship, so the nursemaids are allowing Camille to play with Claude, but only on the condition that she not leave the property. Claude doesn’t really understand, but Camille seems to understand quite well that her parents intend her to marry a rich man some day. Now that she has grown, that day is rapidly approaching. One of the interesting aspects of this episode was Camille’s evident curiosity. Although she isn’t allowed to explore the world first-hand, she is eager to learn about it through books, including Around the World in 80 Days. Another interesting aspect is that we get a first glimpse of Claude’s father. We see Claude working hard in the shop at a young age, and admiring the ironwork his father does. 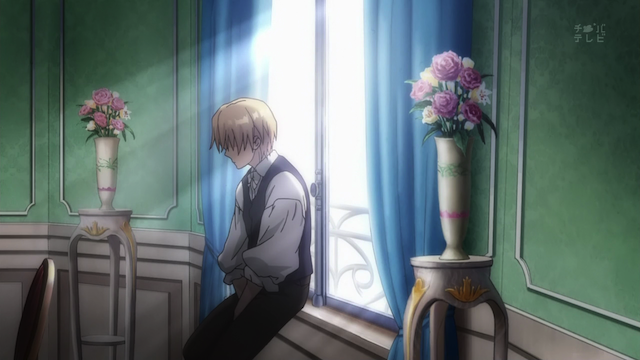 Judging from the preview, next week will dig even more into Claude’s past and his relationship with his father. It certainly was a wistful episode. At this point it isn’t clear how things are going to proceed. Will Camille continue to inflict pain on herself to satisfy her family? Will her self-sacrifice mean that Alice leads a life of freedom and happiness? Will Claude end up an embittered bachelor? Will he become Camille’s amant (lover)? Will he fight against the class differences, and marry her? Will he settle down with Yune, instead? This chapter was very nostalgic and somehow sad. I think however that chapter 8th was more emotionally intense (maybe this one is weaker because is a flashback). Like a lot the little details used to help keep the atmosphere alive, in this episode specially the poster from “Chemin de Fer de France” showed when Camille tells Claude about people going to the beach in holidays. The design of those nineteenth century posters I found specially charming. I recently watched some in the newsletter from “Bibliotéque National de France” for the month of July. Very interesting link. Seeing all of those bicycles made me realize that the bike Camille lets Claude ride was a very good historic detail. Seeing how much work artists put into those posters also reminds me of Claude’s fundamental complaints about the passing away of artisan culture. At the time one could still see a lot of hand-produced cultural artifacts, and machine-produced items were rare in comparison to our own age. I know graphic designers, and am not trying to disrespect what they do, but I have also seen that the rise of machines means that people can ask someone to “whip something up” without allowing for effort, since people now expect that it is done by the computer. At least in the old days you could point out how much effort was required to engrave the plates. Indeed. Some of the posters were even lithographies designed and engraved by famous artists (for example Tolusse-Lautrec made those for Le Moulin Rouge or the ones Alfons Mucha made for Sarah Bernhardt performances). The bicicle was also a very nicely done they got it right: for example it has no brakes if you wanted to stop you had to do it with your feet! I have a very similar problem with computer animation vs traditional animation. Computer graphics can do very impresive things very quickly and easy for the animators, but for some reason they do not have for me the same emotional impact. I still from time to time marvel at watching at some of the stuff that was made during the golden age of animation. I don’t know… sometimes I’m afraid that machines and technology will take away from us humans all the work that is really meaningful.